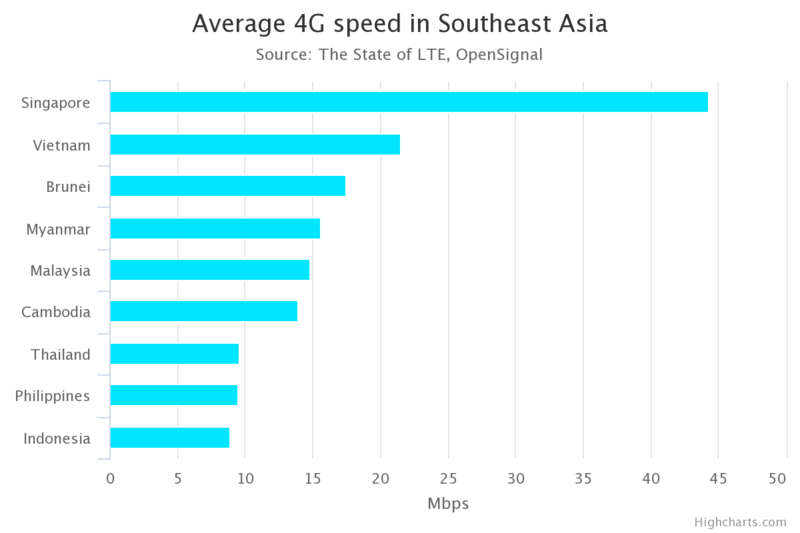 The report also revealed that Maxis has the fastest 4G speed, while Yes has a greater coverage. 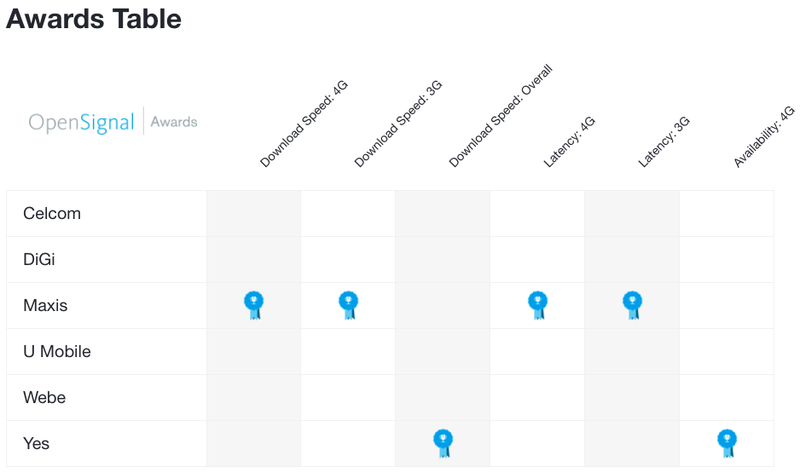 According to the report, countries with the fastest 4G speeds in the world "aren't getting any faster", being unable to hit the "Holy Grail of 50 Mbps". Furthermore, the company also stated that countries are clearly focusing to expand 4G access to more people and places, rather than growing the 4G speed itself. 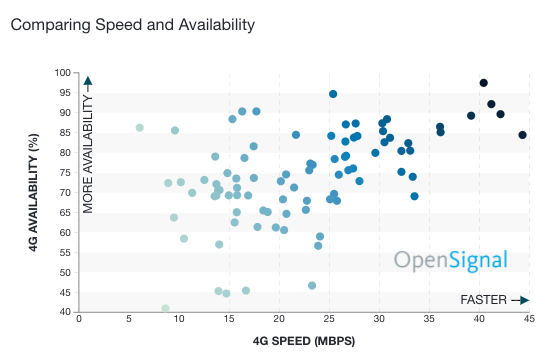 While Singapore was ranked on top with an average speed of 44.32 megabits per second (Mbps), Malaysia's 14.83 Mbps puts it among the bottom 20 countries on the list. However, this was a slight improvement from the country's performance in 2016, which was 14.35 Mbps. Malay Mail Online also reported that although 4G service had been available for five years in Malaysia with promised internet speeds of up to 100 Mbps, the country still lagged behind its neighbours such as Vietnam (21.49 Mbps), Brunei (17.48 Mbps), and Myanmar (15.56 Mbps). Despite that, Malaysia was ranked 42nd for 74.88% of 4G availability, ahead of Brunei (73.66%), Indonesia (72.39%), and Vietnam (71.26%). Moreover, five countries (South Korea, Japan, Norway, Hong Kong, and the US) now have over 90% of 4G availability. Malay Mail Online reported that only two countries had such access just three months ago. According to Malaysia's report by the company, Yes delivers 4G to its users 93.2% of the time, which is 12% ahead of Maxis. On the other hand, Maxis delivers an average of 23.6 Mbps download speed, which is 3 Mbps ahead of Yes. The incident was captured mid flight. The thief only stole the woman's undergarments, leaving her husband’s underwear at the scene.